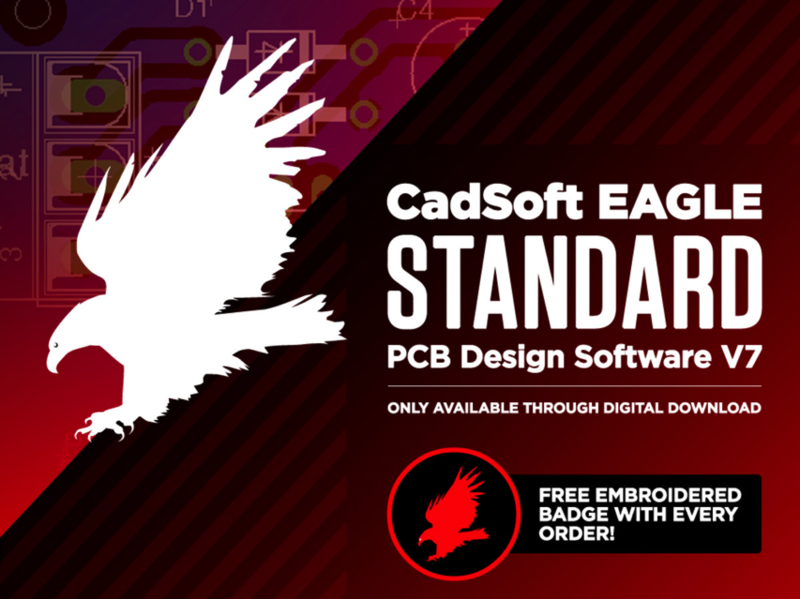 NEW PRODUCT – CadSoft EAGLE Standard PCB Design Software V7 – 3 Users « Adafruit Industries – Makers, hackers, artists, designers and engineers! This a license for CadSoft EAGLE STANDARD PCB Design Software V7. This is a business or individual license with 3-users. It includes Layout + Schematic. It is a three user license that enables all the features of the EAGLE Standard Edition (six signal layers and 160x100mm routing area) with two modules (Layout+Schematic). After you place your order with Adafruit. We will send you the license for CadSoft EAGLE Standard PCB Design Software V7, all usually within a few hours of purchase. The download(s) are available at any time in the downloads section.